Leaders of both the parties have admitted that they have distributed cash to people living in slums in every segment. 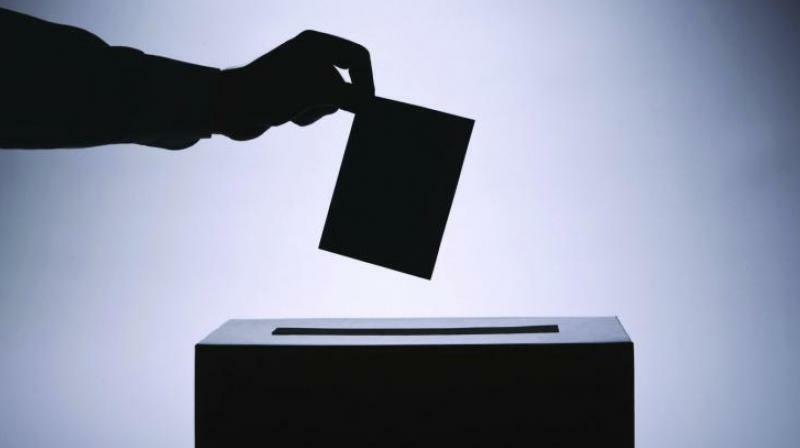 Nellore: Candidates for the recently concluded elections in the state had devised a novel methods of luring voters from lower middle-class, middle-class and upper middle-class to elect them with members of these sections generally refusing to accept cash for their votes. It has come to light that candidates from some political parties offered generator sets to certain apartment buildings at Stonehousepeta area in Nellore City with a request to vote for them. In some cases, candidates had borne the cost of giving fresh coat of paint or for carrying out repairs to some of the old apartment buildings. Nominee of a political party offered Rs 50 lakh to buy a vacant site next to a Mahalakshmi temple and presented to the temple committee belonging to his community to further develop the shrine. The candidate also offered Rs 25 lakh to another temple that approached him offering their community votes. However he drew the wrath of another community as he failed to provide funds to the temple run by them in the same area. The candidate also donated funds for renovation of churches and mosques in the hope of getting the support of the the minority communities. Sources from the ruling party said they distributed nose studs worth nearly Rs 2,000 each to women to ensure their votes for TD after coming to know that they favour YSRC at Nellore. The sources also said 30 per cent of the cash paid by a contesting candidate for distribution to voters was ripped off by ward level leaders in Nellore. Another candidate from the same segment paid cash in selected areas that caused heartburn to people living in neighbouring areas. TD leaders alleged that some of their counterparts in rural constituencies saved the cash sent by the party for distribution and this is going to cost dearly to the party. Leaders of both the parties have admitted that they have distributed cash to people living in slums in every segment. They added that voters came to their homes and demanded cash wherever their men at ground level failed to distribute it. "Those who came from cities such as, Chennai, Hyderabad and Bengaluru to vote collected money for their travel expenses from local leaders. People living in posh areas also demanded cash in some places, much to our surprise" a YSRC leader said citing the change in attitude of even well to do people,” the activist said.